“We have used CAM Building for all of our building services requirements for over 15 years now. The work they have undertaken for us in the past includes general maintenance and full office refurbishment works. The thing about CM is that you can rely on them to get the job done, they are extremely reliable and they always deliver a quality finish and service. I would not hesitate in recommending them to anyone”. “The Estates Department of KCOM Group PLC has been using CAM Building for a number of years, both in East Yorkshire and the Midlands to undertake various property maintenance activities from planned preventative maintenance through to reactive emergency works on a 24 hour, 365 days a year basis. “As part of KCOM's Environmental Management strategy and its ISO 14001 Environmental Registration, CAM Building was asked to construct a purpose built facility to store telegraph poles in order to prevent land and water contamination. This was built to very stringent standards and was delivered professionally and on time to enable us to achieve our Registration successfully. I would have no hesitation in recommending CAM Building”. Ryden LLP have used CAM Building for some 12 months now. This company undertake many of our building refurbishment, repair and maintenance works and can be relied upon to perform good quality work on an emergency basis or within a scheduled timescale. Their directors can be relied upon to regularly attend meetings either with ourselves or on our behalf and resolve any outstanding issues. 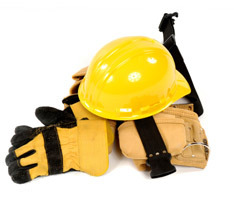 The fact that one of their directors is a Chartered Member of the Institution of Occupational Safety & Health, who has provided invaluable assistance in advising and undertaking recommended Health & Safety work, constitutes an added advantage of having this company on our approved contractors list. I therefore have no hesitation in recommending CAM Building. CAM Building have been providing a service to Dunston Ship Repairs for over 10 years carrying out work in accommodation areas of ships under repair in our drydock. This work has ranged from minor repairs to crew accommodation to the complete outfitting of new accommodation areas on vessel undergoing major conversions. We have always received excellent service from CM and work has always been executed to a very high standard, usually working to tight deadlines. I would have no hesitation in recommending CAM Building to any of our current clients." "Following a break in we commissioned CAM Building to repair one of our large industrial/office units in Hull. The unit had been completely stripped of all the copper wiring and pipe work, the place was a mess, ceilings had been brought down, floors ripped up and the internal decorations had been badly damaged. The whole unit required an electrical rewire and a new plumbing system a deep clean and decorating. CAM Building project managed the whole thing and they proved to be extremely reliable, they delivered a quality service and finish by effectively communicating with ourselves and the insurers. We now use CAM Building to provide building maintenance services at all of our sites. I would not hesitate in recommending them to anyone." "CAM Building were appointed as the contractor to undertake the building works required to create the new and totally different entertainment space that we had imagined for a derelict ware house in Hull. CAM Building professionally project managed the whole thing and they proved to be extremely flexible as the project moved on. CAM Building delivered a quality job, by effectively communicating with ourselves and the Hull Forward surveyors throughout the project. "Ashtenne Asset Management Limited use CAM Building to carry out building refurbishment, repair and maintenance works on our property portfolio primarily in the Yorkshire area. Over the last two years CAM Building have proved to be a very efficient and cost effective contractor who deliver a quality product and service every time. The good thing about CAM Building is that you can rely on them in a crisis, they always respond when we need them. I therefore have no hesitation in recommending CAM Building."